The skinny guy’s road map to gaining 40 pounds of lean muscle in just 12 months. I spent most of my life as a skinny guy, as one of the many guys who is genetically unfortunate when it comes to building muscle. Now I’ve made a career of not only building my own physique but helping thousands of other skinny guys do the same thing. Skinny guys are often referred to as hardgainers because it’s assumed that we have to work out much harder and longer in order to see gains that are “acceptable”. However, what I’ve learned from my own experience and from coaching and mentoring other former skinny guys is that you don’t necessarily have to work out harder, just differently and strategically. When Bodybuilding.com asked me to write an article that would help other skinny guys, especially those who have been working out for less than a year, three key things immediately came to mind as make-or-break strategies: have a long-term plan, make nutrition and workouts 50/50 partners in that plan, and exploit every variable to reap its maximum benefit. In thinking that, I decided that simply writing an article wasn’t enough. Most skinny guys who have been working out for a year or less really don’t have the knowledge and experience they need to create a plan that will net them the best results. There’s so much information out there and a lot of it is good, but a lot of it is also contradictory or just not as beneficial to hardgainers. Beginners can’t be expected to know which information to incorporate into a long-term plan. Most don’t know how to optimize and manipulate their nutrition or which variables should be tweaked when going for maximum gains. This is why I decided to go a bit more in-depth with this article; to explain all of the key factors that will make the difference between an okay year with moderate gains and an exceptional year that ends with 40 pounds of added muscle. Understand, that by added muscle I mean lean muscle, not overall weight gain. I mean 40 pounds of fat-free mass, made up of dry muscle, glycogen and water. Before we get started, let me explain that I couldn’t possibly map out for you every set and rep of every workout for the next 12 months or give you a nutritional plan that will work for you for an entire year. If you do need and want that kind of detail, I really encourage you to check out my new program, Maximize Your Muscle, which does exactly that. 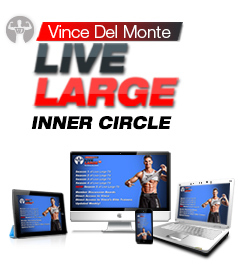 What I can do here is share with you the most important principles that you need to follow in order to work beyond your genetics and get the kind of results that some people will tell you are unattainable or only attainable with three to five years of hard work. Those principles cover these key areas: Plan, Focus, Work, Eat and Rest. You have no chance of adding 40 pounds of muscle in a year if you don’t take the time to create a long-term plan. I’m not saying you need to have every month or every week mapped out down to each rep and each meal. I’m saying that you have to have an overall framework in place. What a long term plan should be is a list of attainable, track-able goals and a set of guidelines and variables that you plan to use to reach them. It’s all about expectations and strategy beyond the next workout or the next month. Think of a long term plan this way: if you’re planning a cross-country road trip, you need to know where you are and where you want to end up before you start planning all the stops along the way. The same is true of bodybuilding. You need to know what your current body fat ratio is, what your measurements are, how fast you can run 50 yards and what your 1RM is with various moves and so on. Tracking your progress is essential and to do that where you are right now is just as essential as where you’re headed. 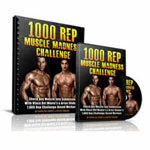 Your overall end goal is to gain 40 pounds of lean muscle mass. You might also have supplemental goals to bench 200 pounds, get from 15% body fat to 8% or do 25 pull-ups. All of these can become your supplemental, short-term goals but you must ensure that your supplemental goals do not compete with your primary goal. For instance, you’re never going to be able to build 40 pounds of lean muscle mass while also drastically improving your long distance running abilities. With a one-year bodybuilding plan, 40 pounds of added lean muscle is your destination. Each leg of the trip is marked by a short-term goal or deadline. Once you have this framework, you can start working on your nutritional plan (and all of its changes) and your schedule and so on. One of the best things you can do in the beginning is find yourself a coach. This might be a professional coach or just someone you know, trust and believe in who is willing to mentor you. If you hire someone, it doesn’t necessarily have to be for a full year. A few months of learning the best moves and proper form, how to change variables like time under tension, intensity and volume, and how to tweak your macros can be game-changing and shortcut your success. If you don’t know anyone personally or can’t afford a professional coach, look into a good program available online. I recommend Maximize Your Muscle to get you started. Just make sure to do your homework first. The best gains of my life have always come when I worked alongside a coach and my slowest gains have always come when I went at it alone. Focus is absolutely essential to this kind of goal. You can’t achieve anything this dramatic by going at it haphazardly or by jumping from one thing to another. Having a plan and a coach or mentor will help with keeping you on track, but you also need to learn to focus; really focus. Focus on You: One of the worst things you can do as a new bodybuilder and as a skinny guy is to focus on the guys around you instead of on yourself. There’s nothing wrong with admiring another guy’s progress, physique or form, but when you start thinking you should be doing what he’s doing or lifting what he’s lifting, you’re done. Focus on Your Priorities: This kind of a plan takes absolute commitment. It doesn’t have to take over your life, but it does need to be a central focus. Sure, you might miss a workout because of a special event like a wedding and you might blow your diet a little at the wedding too. But after your work, family commitments or school, your plan should take priority. That might mean giving up some of your favorite things to do like hanging out with your friends every night or weekend and drinking beer and eating pizza. It might mean going out one night a month instead of two times a week or waking up at 5am instead of 7am. Focus on One Goal at a Time: Have you ever heard the expression, “Don’t try to chase two rabbits at once?” It’s one of my favorites when it comes to setting and reaching goals. You probably want several things at once. 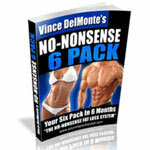 You want to lose 15 pounds of body fat, add six inches to your biceps, get a six-pack and bench press 200 pounds. Those are all decent goals but you can’t necessarily chase all of them at once. They all require different methods and different strategies. Chase all of them or even two of them at once and you’ll end up with no rabbits for dinner at all. Chase one rabbit at a time and get it in the cage before you turn to the next one. In other words, focus on one goal at a time and don’t move on until you’ve achieved it. If there’s one word that I think is the most valuable when it comes to your actual workouts, it’s variation. It’s hands-down the most powerful tool for growth that you will ever utilize. Variation keeps your metabolism and your Central Nervous System on their toes and allows you to take advantage of the transition period between one thing and another, which is when you will see the most gains in strength and growth. When I talk about variation, I’m talking about several different areas. Vary Your Workouts: I am an absolute believer in changing up your routine, but in a methodical and planned manner. You don’t want to change from one method to another without knowing why and you don’t want to do it just because you’re bored or you heard that Plan B was the hottest new thing. Focus on cyclical bulking: I also strongly advocate cyclical bulking which you can learn more about at 21DayFastMassBuilding.com. In fact, it’s become something of a trademark of my programs for skinny guys. The thing about cyclical bulking is that when you use shorter bulking and cutting phases, you’re able to take advantage of that transitional phase between bulking and cutting, when your metabolism and anabolic hormones are completely revved up and then switch it out again before your body adapts and you hit a plateau. When you go from bulking to cutting, you’re able to take advantage of improved insulin sensitivity but then you switch back to bulking and take advantage of all those anabolic hormones that were stimulated by your reduced calorie intake. In other words, you go back and forth before your body has a chance to adapt to either phase. One of the many advantages of this is that you don’t have all the fat gain that comes with traditional, longer bulking phases and you don’t have all the misery and muscle catabolism that comes with longer cutting phases. Having said that, don’t be afraid to bulk up during this first year. You’re skinny and you can take a little extra fat. You’ll torch it off during your cutting phase, so it’s okay to overshoot your weight gain goals by about 20% before you move on to a cutting phase. What I advocate for many skinny guys is bulking for four months and then cutting for one week, and then repeating that nutritional strategy to maximize your muscle gains and minimize fat gain. 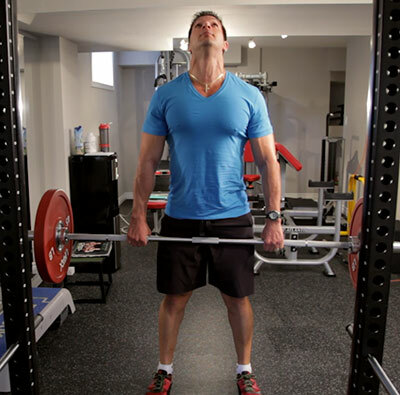 Manipulate the Variables: Learn to utilize all of the variables in your workout. Play with shorter rest periods, longer time under tension and so on to increase the intensity and effectiveness of your workouts instead of changing your workout altogether before it’s had time to do its job. Nutrition is half the game. In fact, it may even be the majority of it since you won’t gain muscle on even the best program if your calories and macros are off, you’re deficient in vitamins and your digestive system is out of whack. Know and adjust your macros: Understand what your best ratios are right now (daily ratio of protein, carbs and fats) and remember that they’ll change as you grow and they’ll change depending on whether you’re bulking or cutting. If your progress begins to slow, check your macros first. 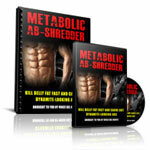 Clean up your diet: You cannot build solid muscle out of garbage. It doesn’t matter how hard you work in the gym, if you’re still eating a nutrient-poor diet you will not make the desired gains. Get all of the processed and packaged foods out of the house and watch your intake of flours, sugars and unhealthy fats. Processed foods are loaded with fat and sugar that slow digestion. If your insulin and blood sugar levels are completely out of balance it will make it virtually impossible to gain anything other than fat. Two of the best things I’ve done nutritionally were to start juicing and learn to cook in bulk by hiring a professional chef whom you can meet inside The Live Large Inner Circle. Juicing loads your body up with a ton of micronutrients in seconds, speeds up your metabolism, cleans out your digestive system and boosts your immunity. All of these reduce inflammation and get your hormones back on track too. Cooking in bulk has been a real game-changer for me. I spent a few months with a chef, learning to cook a whole day’s worth of meals at once so that I had healthy meals and snacks ready whenever I needed them. This not only kept me from eating unhealthy food, but ensured that I got a wide variety of whole foods that I actually looked forward to eating. This made such an impact on my gains and my energy levels that I’ve devoted the whole current season of Live Large TV to preparing your meals in bulk. If you’ve been eating a diet that relies on prepared and packaged foods, you need to start this year-long plan by cleaning out your system so that it functions as it should. I’m not talking about colonics and detox teas. What I mean is that you need to ditch the sugars and flours and even most grains and get most of your carbs from vegetables and fruits. This will help correct your blood sugar and insulin levels and even help raise testosterone levels. It will also help rid your digestive tract of the buildup that keeps you from absorbing micronutrients. If you asked me what one factor of gaining muscle is most underrated, I would say it was rest. This is especially true of skinny guys who are so anxious to see change that they think they need to pack two years of work into one. The problem is that a lack of rest will stomp the brakes on gains faster than you think. And, I’m talking about both sleep and physical rest or deloading. Daily Rest: If you’re not getting at least seven and preferably eight hours of sleep every night, you’re probably not going to reach your goal of 40 pounds in 12 months. There are a couple of reasons for this. First, all muscle recovery takes place while you’re sleeping and it happens during REM sleep. REM doesn’t begin until six hours after you fall asleep, so if you’re only sleeping six hours a night, you’re not going to see the muscle growth that you should. Without adequate recovery time, you’ll be breaking muscle down faster than you’re repairing it. Second, sleeping less than eight hours a night has been shown to raise your cortisol levels and also throw your leptin and ghrelin levels out of balance. This means your body will be stimulated to store calories as fat instead of turning them into glycogen and sending them to your muscles. Periodic Rest or Deloading: Giving your body a break from your demands is just as important as getting adequate sleep each night. If you don’t step back periodically, you’ll burn out your Central Nervous System and throw your hormones out of whack. As I said earlier, I advocate four months of bulking, followed by one week of cutting and then before you repeat this cycle it’s advisable to take a complete week off. This resets your hormones, particularly your insulin levels, so that when you go back to your workouts and your body is absolutely primed for gains in both strength and size. Even if you skip cutting, take that week of rest at least every 12 weeks. You don’t necessarily have to lie on the couch for a week. Some guys (including myself) do take the week off altogether. Other guys are happier if they spend the week doing a much less intense workout or just cut the volume in half for each workout but maintain their normal weights. Other guys work out twice a week instead of every day. The point is to give your muscles and your CNS a break from what you have been doing. I promise you that when you get back to your regular workout (or the next level of it) you will see serious results. Now that I’ve shared some of the key principles to seeing 40 pound gains in one year, I want to leave you with some of the best advice that I know for reaching and even surpassing your goals. With a shotgun, you’re aiming in a general direction and hoping to hit something. With a rifle, you’ve got your eye focused right on target and you’re taking careful aim. Guess which one gets better results? Every goal, every change and every new idea should have measurable data. Pounds lost, carbs eaten, kilos curled, days worked, seconds rested. If you don’t measure it, you can’t track it and you can’t plan your next move. Setting goals, following the plan and really paying attention to what I’ve written here is essential to reaching your goal of adding 40 pounds of lean muscle in 12 months. It takes a skinny guy to know one and believe me I know one! I also know what it takes to transform a skinny guy into a muscle machine, so let’s do this. 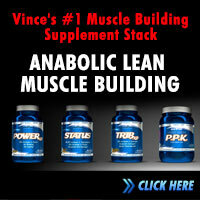 Thanks for share уour thoughts on muscle building. I am so glad to get this informational https://windowsclassroom.com/find-wifi-password-on-windows-10 tutorial and going to learn each and every single process to know how to view windows 10 Operating system WiFi Password. Thanks for sharing уour thoughts on muscle building. My height is 6 feet and my weight is just 59 kgs. And that isn’t an appropriate weight according to my height.I am having a problem in figuring out my diet and what supplement to take according to my age i.e. 17. Very comprehensive post with lots of great advice. The idea of being targeted and using bullets not shotgun shells is a new way to think about going forward. 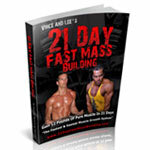 great info and great website.i used some of your methods together with power precision and the results were awesome. LIMITED TIME OFFER – FREE TRIAL !! Get Your Today .. Visit our website to see if you qualify ! Great article!!! BUT YOU ARE WORKING OUT WRONG! Visit http://www.myweightandi.com to see how to REALLY work out the CORRECT way! Execellent article Vince! this is exactly where I was an still am at the moment . I found myself a slave to the working out an decided to give it a break for awhile . It’s been a few months and just lately I found myself saying I miss the weights .